All Prior Art is a project attempting to algorithmically create and publicly publish all possible new prior art, thereby making the published concepts not patent-able. The concept is to democratize ideas, provide an impetus for change in the patent system, and to preempt patent trolls. The system works by pulling text from the entire database of US issued and published (un-approved) patents and creating prior art from the patent language. While most inventions generated will be nonsensical, the cost to computationally create and publish millions of ideas is nearly zero – which allows for a higher probability of possible valid prior art. Further, a large institution could dedicate many servers to this task, along with developing more advanced techniques such as deep learning, to flood the prior art space. It is not unforeseeable with current technology (along with sufficient cash for fees) to flood the actual patent application process itself with sufficiently advanced patent applications based on this concept. A sister website All The Claims is attempting the same thing, but with the use of claims and a more verbose alternative. What’s with the titles of the entries? Why this Creative Commons License? The particular Creative Commons license was chosen to prevent commercial use of the text along with restricting derivatives, since the point of the prior art is to be publicly published unmodified (as it is to be a valid reference point). Also, this license applies to the actual text itself and not to the inventions described – as that is now prior art (the whole point of the exercise). If you want to do something interesting with this data and for some reason this license does not work for you, please contact me. Doesn’t the USA’s transition to first-to-file make this not work? 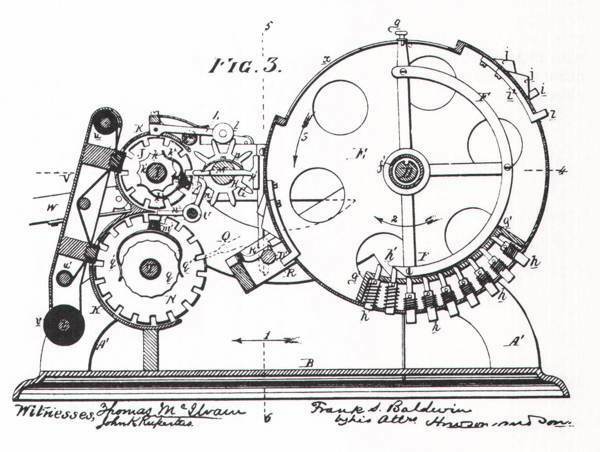 -Even with the change to the first-to-file system in the USA, the patent applicant still needs to prove they are the original inventor, which would not be true for any inventions published here. -The intent is not to prevent actual creative and innovative patents from being filed, it is to take the obvious and easily automated ideas out-of-play. If an idea is truly creative and innovative, a computer should have difficulty coming up with it. Is this really prior art? “Prior art is any evidence that your invention is already known. Prior art does not need to exist physically or be commercially available. It is enough that someone, somewhere, sometime previously has described or shown or made something that contains a use of technology that is very similar to your invention. An existing product is the most obvious form of prior art. This can lead many inventors to make a common mistake: just because they cannot find a product containing their invention for sale in any shops, they assume that their invention must be novel. Yeah, but doesn’t prior art need to “enable”? Yes, a person who is knowledgeable in the field of the invention should be able to reproduce the invention without experimentation. I think many of the entries that make sense are able to be made by someone skilled enough. Even if not, I’ve hedged my bets with a sister website All The Claims which is attempting the same thing, but with the use of claims as a more verbose and detailed alternative. Also, one might be able to argue that the entires if not prior art do point out that the idea may be obvious. This is stupid / it won’t hold up / the patent office won’t use it / etc.. While it will be great if this turns out to be a viable tool to fight patent trolls, as long as it is sparking discussion and thinking, it is performing its purpose. It’s in a way fighting an unintelligent and single-minded problem with an equally silly and brute-force method, which I find humorous. If it does turn out to not hold up in court, maybe a similar idea will. This is running off an old server in my studio, imagine if there was a patent troll with the resources of Amazon or Google putting effort towards this idea – coupling much more hardware along with better algorithms and things like deep learning actually publishing algorithmically generated patents.